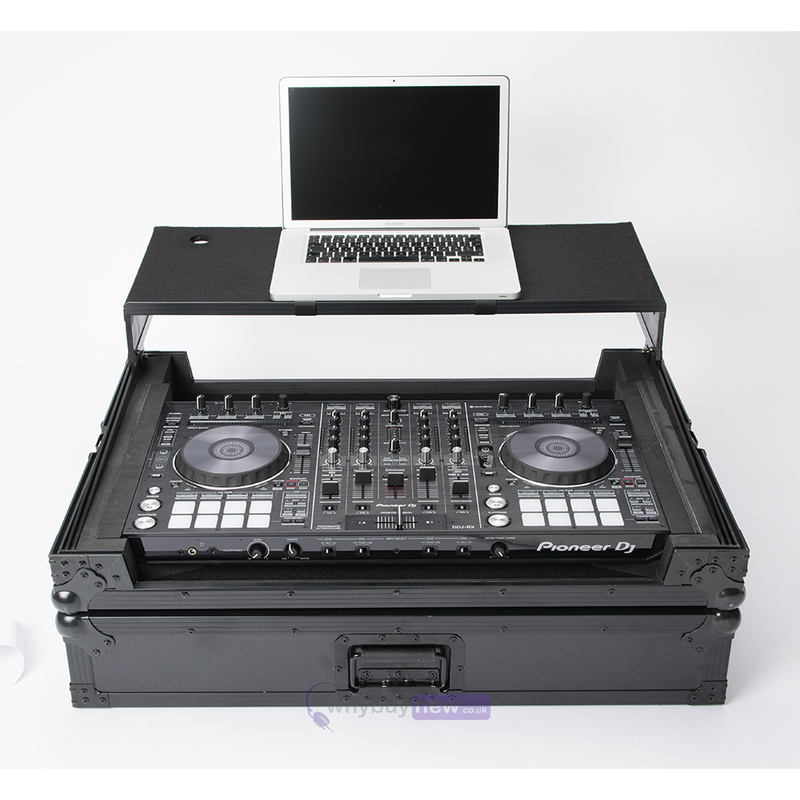 The Magma Multi Format Workstation XXL Plus is a universal, heavy-duty road case that will fit most current extra-large DJ controller models and a laptop. 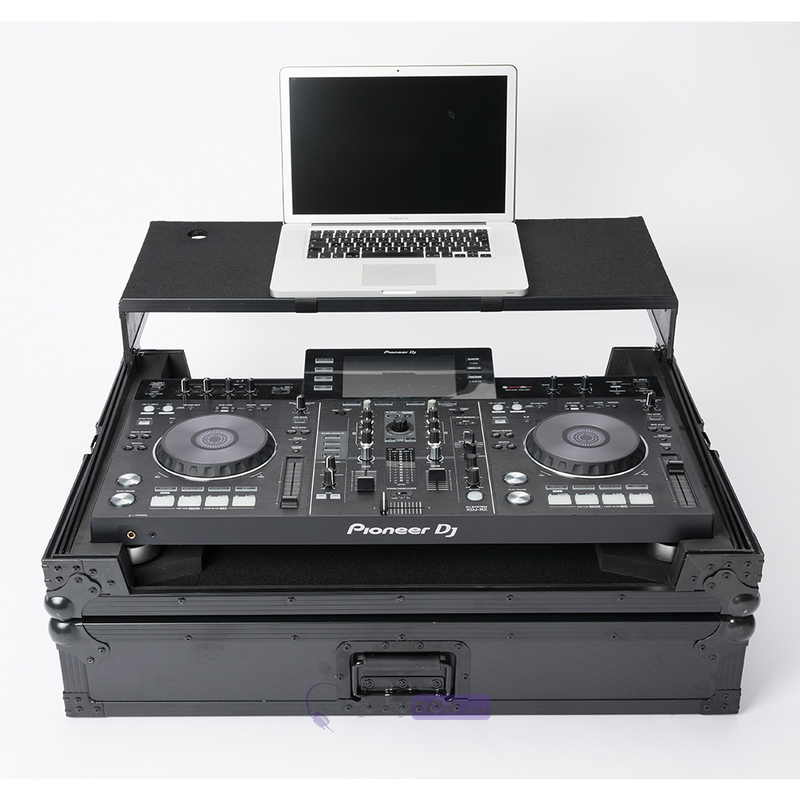 It comes with several foam pads to accommodate XL controller models such as the Denon MCX-8000, Denon MC-7000, Roland DJ-808, Reloop Mixon4, Pioneer XDJ-RX or DDJ-SX2. Made from 9mm laminated plywood, with an all-black finish and honey comb hexagon design, this case is stylish as well as sturdy. 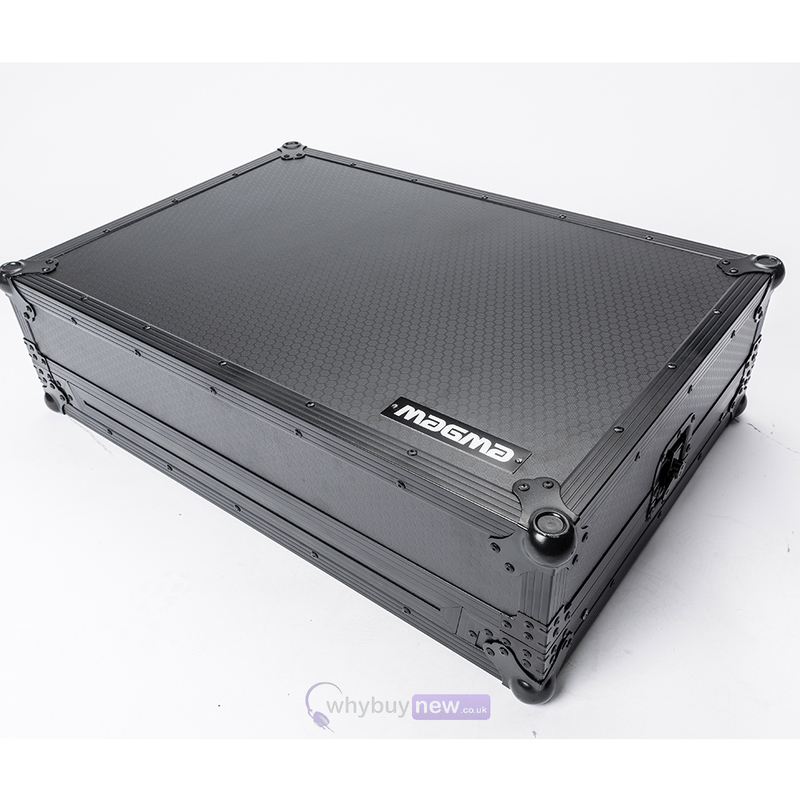 This great quality workstation flight case provides the ultimate protection for your controller when transporting to and from gigs. 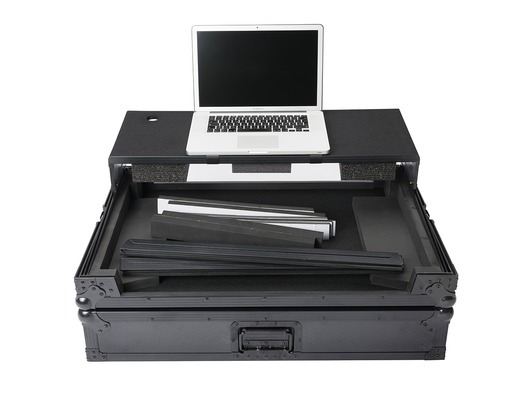 This case features a high quality foam lining, strong steel ball corners, sliding laptop platform tray, recessed handle and solid butterfly lock catches. 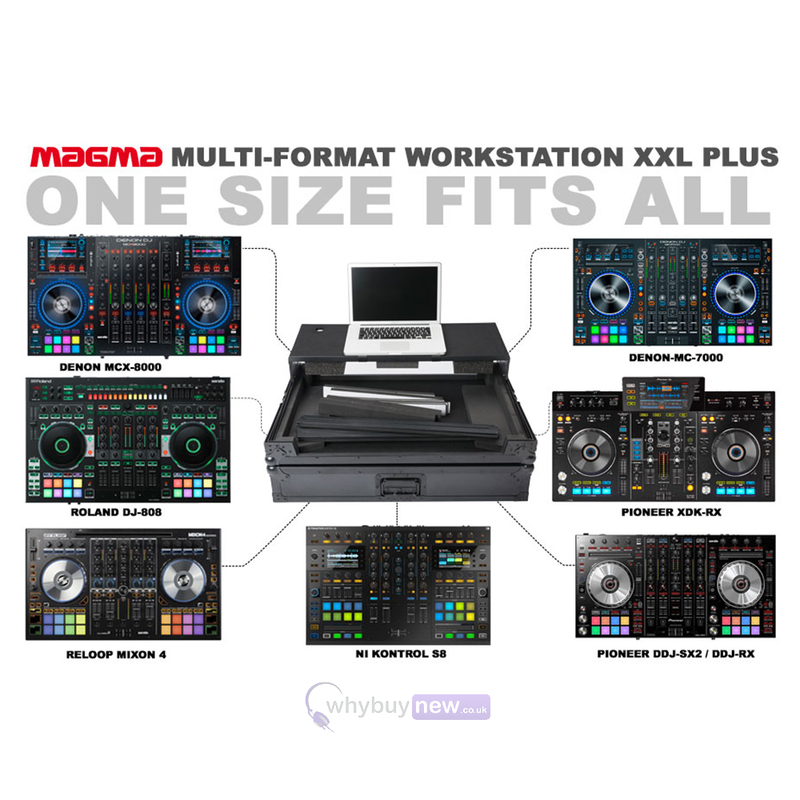 Here we have the Magma Multi Format Workstation XXL Plus in brand new condition and in B-Stock. The B-Stock versions would have been on display at a training evening or trade exhibition only and will come boxed in very good cosmetic condition (with a few minor marks) with all accessories and a 1-year warranty.